Your first service will consist of a comprehensive inspection, an extermination and a preventative treatment. After this initial service, your technician will work with you to create a schedule for regular treatments to maintain a strong barrier between your structure and its surrounding pest populations. The regular treatments will generally consist of outdoor only treatments that allow you to keep up on your pest control services without having to take time out of your schedule for each treatment. If you’re looking to detect, eliminate, and/or prevent pest populations in your home or business with minimal time and effort involved, you’ve come to the right place. 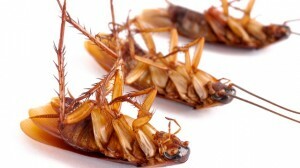 Go Green Pest Control uses only the most effective organic pest control products and techniques to inspect and treat Texas structures without the use of harsh chemicals. This means that you can stick to your daily routine during and after treatments as there will be no need to clear your home or business for the quick and simple process. For more information regarding our green Texas pest control services or to schedule a service, please contact us at 505-404-1440 to speak with a Go Green Pest Control representative.